Protects hardwood, tile and concrete floors from water damage due to construction, reno’s and/or foot traffic. WR Floor Guard is an anti-slip extra thick, water-resistant paper that acts as a shield, protecting your finished floors from water, mud, snow, abrasion, and impact. All while remaining vapour permeable. Important! Although WR Floor Guard is vapour permeable make sure floor to be covered is dry. 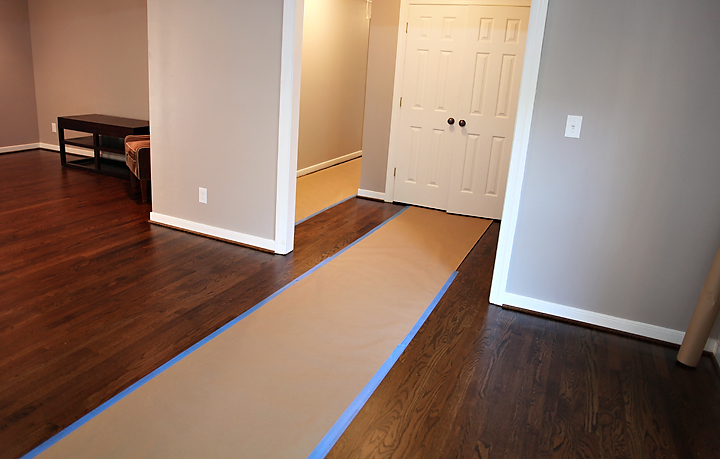 Trapping moisture under the paper will alter the curing time and might cause damage to the floor being protected.